Syrian Refugees, September 2015, Vienna, Austria . The Austrian government should keep the protection of refugees at the centre of draft amendments to an asylum law presented in the country, according to the United Nations Refugee Agency (UNHCR). In a juridical analysis on draft amendments to Austria’s asylum law, UNHCR expressed “concern” about the recent proposed amendments to Austria’s asylum law, including the proposed seizure of cash and electronic devices carried by asylum seekers and the prolonged wait required before refugees can apply for Austrian citizenship. 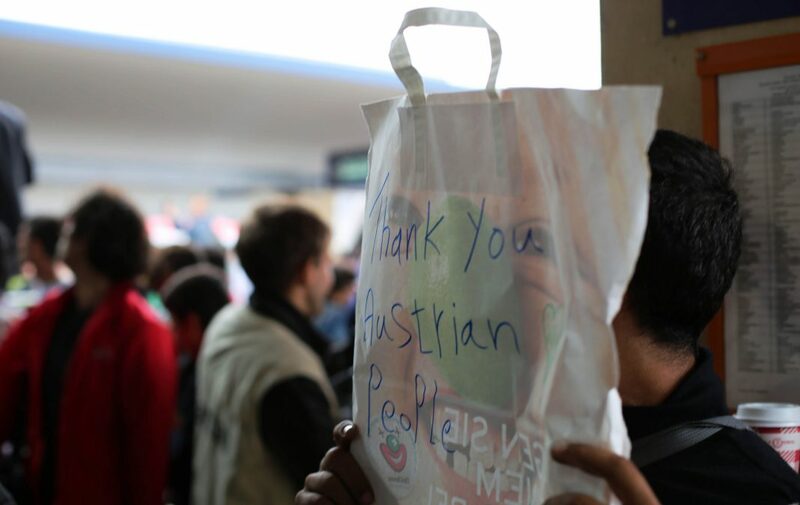 “UNHCR is worried about the recent proposed amendments to Austria’s asylum law, and their potential impact on asylum-seekers and refugees,” said Christoph Pinter, the head of UNHCR in Austria. As reported by the Italian press agency ANSA, the UNHCR explained in a statement that is was particularly worried by the proposed seizure of cash of up to €840 upon arrival in Austria if an asylum-seeker is carrying more than €120. As regards citizenship rules, UNHCR said it is concerned because “despite already having one of the European Union’s tightest nationality laws, in the draft proposal refugees would have to wait at least 10 years instead of the current 6, before being able to apply for Austrian citizenship”.